Cloud computing has created a revolution in the technology for small companies by allowing access to a variety of skills that normally only bigger companies could afford. By means of a web browser and an internet connection, small corporations can enter into services and software based upon their needs and pay accordingly for their usage on a regular basis. An example for this can be utility services. Just by joining the “Cloud”, a business is able to access everything – from customer relationship management systems to data backup. Cloud computing portrays a grid of remote computers to store, process, and manage applications and data. By permitting an organization’s IT operations to be outsourced to another company, the in-house IT’s infrastructure burden is shifted onto the cloud service supplier. The demand for cloud services can be categorized into three sections: infrastructure, platforms, and software. Companies can select between hybrid, private, or public cloud deployment subject to their security concerns and needs. A cloud provider’s services generally comprise of a system with tough security protocols, routine maintenance, and repairs for an acceptable fee (either per bandwidth and/or per user). Since its inception, cloud computing has had some major implications. However, the utmost effective benefit lies in its capacity to bring productivity and profitability. Cloud-based services are a great way for you to save money in many places such as server maintenance, power, upgrade expenses, and software licensing. More than half of small and medium sized businesses are now using cloud computing to decrease their costs. Instead of spending money on hardware maintenance, which most of the time goes unused, subscribing to services and software at a small monthly fee will help these small companies to further stretch their budgets. 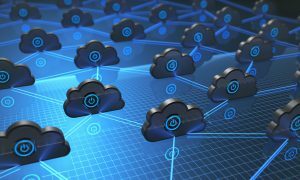 Along with the skill and capability to expand in order to fulfill high demands, the cloud will also allow businesses to scale down through their slower periods. Examples of this can be using less storage space or removing users in order to save the business money. How do you find out how much you have saved? The process of bookkeeping is a recognized and well-defined process in the field of business and accounting. Bookkeeping will help you provide all of the necessary and relevant information from which all of your accounts are formulated. The cloud permits employees to stay connected regardless of where they are located. Employees could be working from their homes, at a prospect’s head office, or on a plane. Employees located in different areas can cooperate with each other without having the need to share calendars, e-mail attachments, and task lists. As long as there is an internet connection, employees can get their hands on all applications and business files needed to stay productive. Companies can access relevant data or inquire about the operations of the company at any time of the day on just about any device that has an internet connection. This is a major advantage for companies with remote workers. Employees can also link and communicate with their boss and staff through instant messaging. They can even arrange for spontaneous meetings with the help of robust audio, web conferencing, and video services. Thanks to cloud-based services, it is now possible to include vendors and customers in these meetings. Due to these facilities of improved information sharing, companies are able to react more swiftly to business opportunities. Compared to services delivered on-premises, cloud-based services are more reliable, particularly if the hardware or servers are aging. In addition, the experienced and dedicated IT staff of cloud service providers can resolve problems much faster than a company with limited IT resources.